Once the common helmet of the day, the Norman helmet protected not just foot soldiers but also lords and kings as well. This Medieval Norman Helmet with Aventail certainly has all the details necessary to be made for a noble or a king. 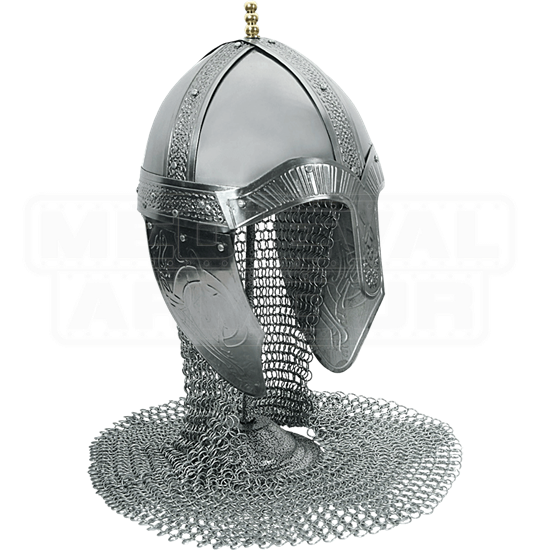 This truly impressive helmet echoes the look of the classic spangenhelm, featuring a steel plated skull cap that is reinforced with metal strips. What separates this helmet from others is that these reinforcements are all highly decorated, featuring embossed and engraved designs along their lengths. These decorations continue down onto the nasal guard and the hinged cheek protectors. A mail aventail is attached to the back, for added defense, while a single brass accent rises from the top of the helm, adding a final touch of detail to the helms overall appearance. Included with the helmet is a matching stand, for quick and easy displaying. 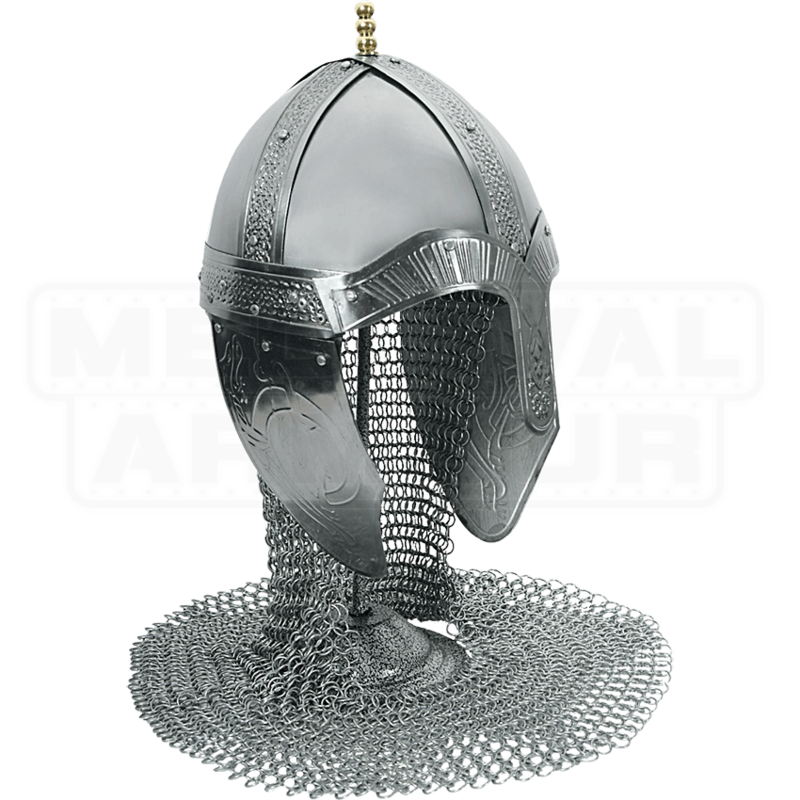 Impressive detailing makes this Medieval Norman Helmet with Aventail a fine addition to any collection, as others are sure to take notice of and admire its appearance whenever they see it.